Bleacher co-founder Dave Finocchio will step down from the digital media sports company this summer, with Howard Mittman taking over as CEO. Mittman, who has served as both chief revenue officer and chief marketing officer since August 2017, will begin immediately, ahead of Finocchio’s June departure. After Finocchio leaves, Mittman will report directly to Matt Hong’s Turner Sports’ COO, who has overseen Bleacher Report for the last six years. Finnochio co-founded Bleacher Report in 2007 with Alexander Freund, Dave Nemetz and Bryan Goldberg. Freund left the company in 2009. In 2012, Turner bought Bleacher Report, with Goldberg and Nemetz leaving the company shortly thereafter, and Finnochio installed as CEO. Goldberg has since gone to found Bustle Digital Group, which encompasses Bustle, Elite Daily and more recently, Gawker and Mic.com. Prior to joining Bleacher Report, Mittman served as chief business officer of Condé Nast’s men’s group, which included GQ, GQ Style, Wired, Pitchfork, Ars Technica, Backchannel, Golf World and Golf Digest. 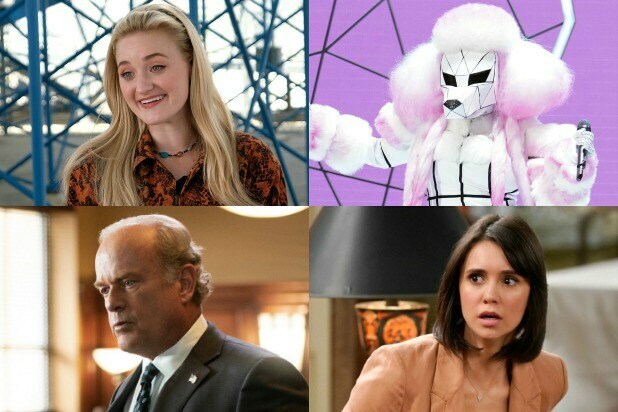 When it comes to TV, winter is typically no fall — but a few of these series premieres could have made the cut for an earlier start, ratings-wise. TheWrap has ranked all of broadcast’s midseason debuts (so far) by their “live” total-viewer tallies. A pair of new singing competitions were impressive, a kinda-sorta reboot on The CW was not. Scroll through our gallery for the Nielsen returns from the nine debuts we’ve seen. TheWrap will update this post as more new broadcast shows start. Find our Fall TV version of these rankings here.